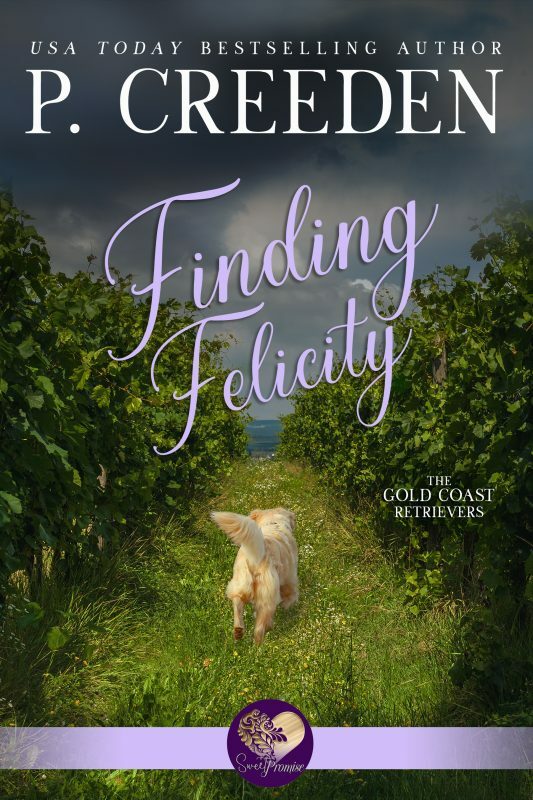 Find out if Lucky can help these two humans get to the bottom of this mystery and get a head start on their own love story. This sweet tale of suspense, secrets, and second chances is one you won’t want to miss... Order your copy and start reading today! The puppy that stole their hearts is missing! Grace Wilson loves the wonderful life she has created with her daughter in picturesque Redwood Cove, California––even if she is a bit lonely. To add to their family, mom and daughter adopt a sweet “Golden Wetweevuh” puppy. And they’re not the only ones who think Star is, well, a star. A television show casts the pup for a role, but it’s the co-host that has Grace’s heart doing tricks. Dash Diamond is a local celebrity with a megawatt smile. He is less than thrilled when his show’s producers inform him that a puppy has been cast in a new role. But his new co-star comes with an owner who makes Dash see stars when he looks at her. When Star is puppy-napped and held for ransom, all attention goes to her rescue. Grace and Dash can’t act on their undeniable romantic spark of attraction while the pup is possibly in danger. Star is the missing piece. Will they find her in time to complete their puzzle? Find out if Star can find her way safely home to complete her family, all while proving she’s the star of the show. This sweet tale is one adventure you don’t want to miss out on… Order your copy and start reading today! Her dog saved his life. Can he repay the debt by finding her missing brother? Peyton McIntyre's brother is missing. Local police claim they're looking into it, but hope dwindles as the days continue to pass without any answers. Worse still, her only chance of finding him may depend on a rookie officer who sends her temper flaring and her heart quivering. Kurt Collins is a fourth-generation police officer, but so far he hasn’t been able to live up to his family’s long legacy of service. 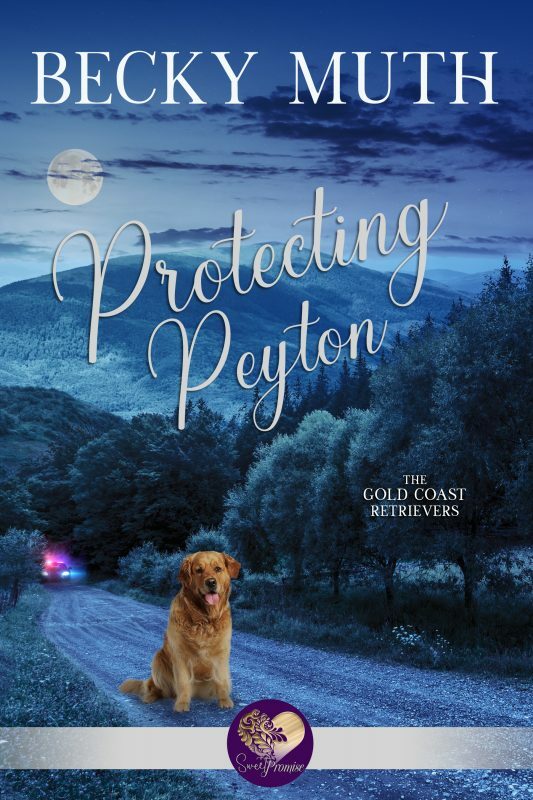 When the infuriating and beautiful Peyton asks for his help, he wonders if she might hold the key to the recognition he craves. Last time they met, her dog, Gilda, saved his life. This time she just might be able to save his reputation. As they begin their search it appears that Peyton’s brother may not want to be found. Unfortunately, failing to complete this assignment could risk both Kurt’s career and any chance he has at winning Peyton's heart. Is a happy ending even possible, or will Peyton and Kurt both lose everything before they’re through? Find out if Gilda can make another rescue by helping her humans beat the ticking clock and discover that their hearts are better together than apart. This sweet tale of suspense and finding what matters is one you’ll want to hold onto… Order your copy and start reading today! For Hanna Moss, love has always come with danger. From the incessant stalking by an ex to nearly losing her life in a hit and run accident, she vows to remain alone--and safe. 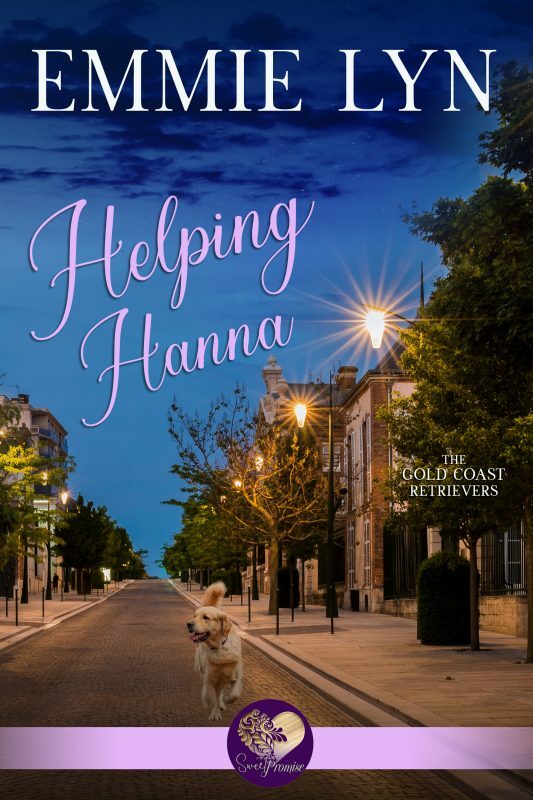 So when her golden retriever, Bella, welcomes a handsome private investigator into their lives Hanna is surprised to find herself willing to open up despite the tremendous risks that have always come with letting others in. Blake Bowman returns to Redwood Cove with a shattered heart. All he wants is to enjoy a much-needed quiet vacation far from his ex-girlfriend. At least, that was the plan until he meets Hanna—beautiful and with an injury that is more than skin deep. He'll need to stay focused, though, because it looks like what happened to her was no accident. Blake desperately wants to help Hanna in every way possible, even if that means putting love on hold. Hanna is terrified of the feelings she's rapidly developing for Blake and refuses to repeat her past mistakes... Is Hanna safer on her own, or will trusting Blake finally allow her to heal? Find out if Bella can help these two humans understand that trust is a two-way street, that the heart can be repaired, and that love can bloom again. This sweet romance is sure to shine the light of love into your life… Order your copy and start reading today! 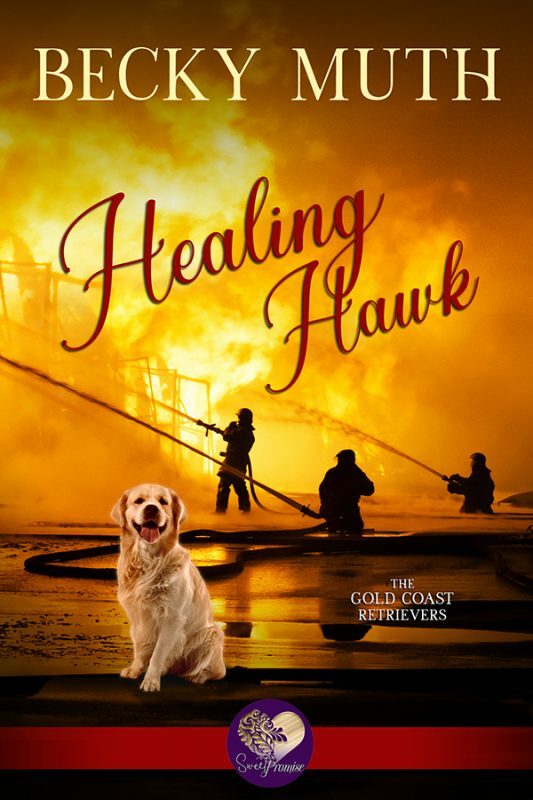 She almost died in a fire and it wasn’t accidental… Can her trusty canine sidekick and new love interest help to reveal the arsonist before he can strike a second match? Her entire life, everyone has just assumed that Nicole “Hawk” Hawkins was a pretty face without much substance. Now to prove them all wrong, she’s taken on the toughest job she could find—as a Redwood Cove firefighter. She’s not on the job long before a deadly fire nearly takes her life, scarring and disfiguring her once gorgeous features in the process. The worst part of it all? What happened wasn’t an accident. Arnold "Snowball" Winters, a detective with Redwood Cove's police force, has loved Nicole since the day she first joined the station, and this new change in her appearance doesn’t change what’s in his heart. 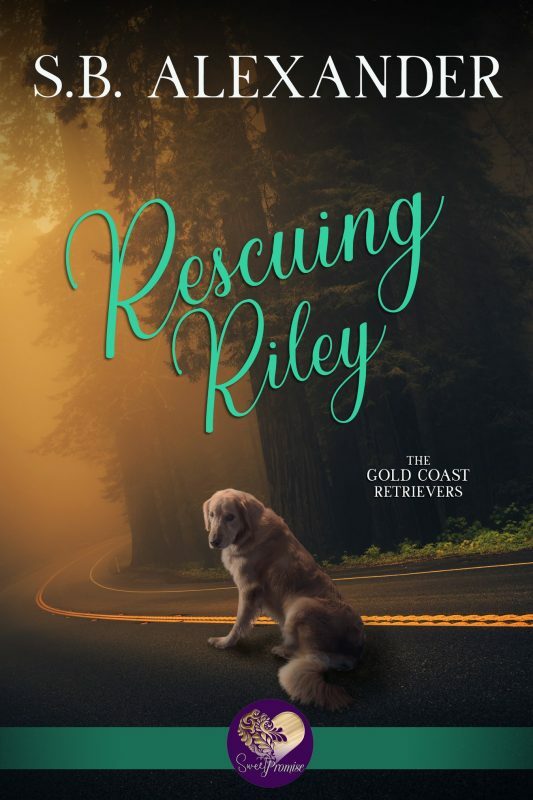 He’ll do whatever it takes to help her recover both her personal and work lives, recruiting Chance, a young Golden Retriever, to help in this mission. No sooner is Nicole released from her lengthy hospital stay than another freak fire threatens her again—this time in her own home. Can Arnold and Chance find the culprit in time to save Nicole’s life… and maybe even win her heart while they’re at it... Order your copy and start reading today! Will her shocking past make their happily-ever-after impossible? Shelly Scott has it all—close friends, a great job, and a past that could catch up with her at any minute. Bestselling author Max Bailey appears to have it all, too, except someone who can share his life. After a chance meeting, Max falls for Shelly instantly. But the only male she’s willing to let into her heart is her golden-furred companion, Jake, her emotional support dog and constant companion. 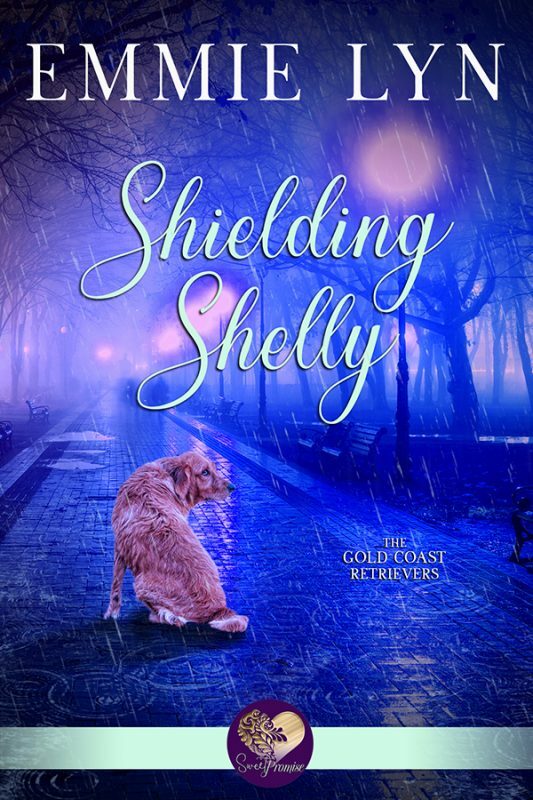 When Shelly’s past comes calling, a paralyzing fear takes over and the scandalous truth comes to light in a way that could just destroy them both. Will Max and Shelly’s budding relationship survive? And will Shelly even manage to make it out alive... Order your copy and start reading today! 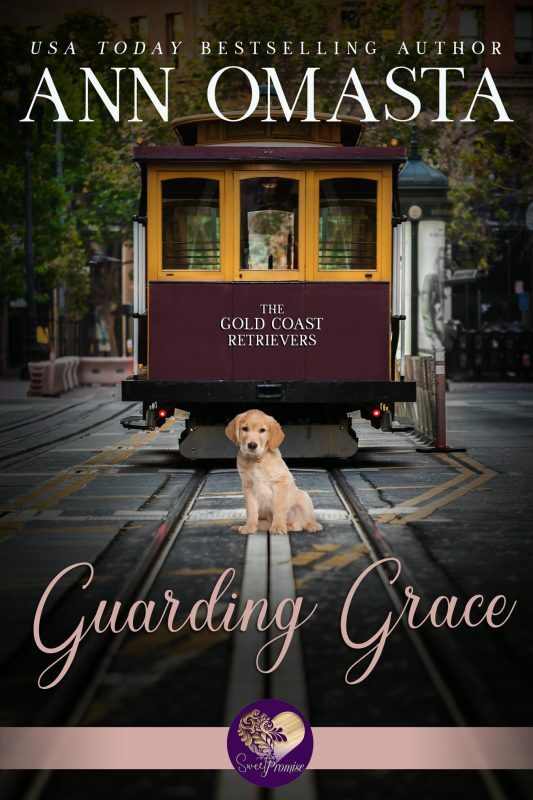 When she was a teenager, a Golden Retriever on duty rescued Carol Graves from drowning in the Pacific Ocean. Ever since then, she has devoted her life to breeding these special dogs for service. Unfortunately, her doctor has ordered that this year’s litter be her last. But what will Carol do and who will she be without her dogs? Isaac Turner still remembers the beautiful woman he and his dog saved from drowning more than fifty years ago. What he doesn’t remember is where she went or how he can find her now. Even though their romance was short lived back in the summer of ’58, he’s never forgotten her. And now that he’s returned to California for his retirement, he’ll do whatever it takes to find Carol and convince her that they’re meant to be. But will the memories of what tore them apart all those years ago be too painful for either of them to put aside? 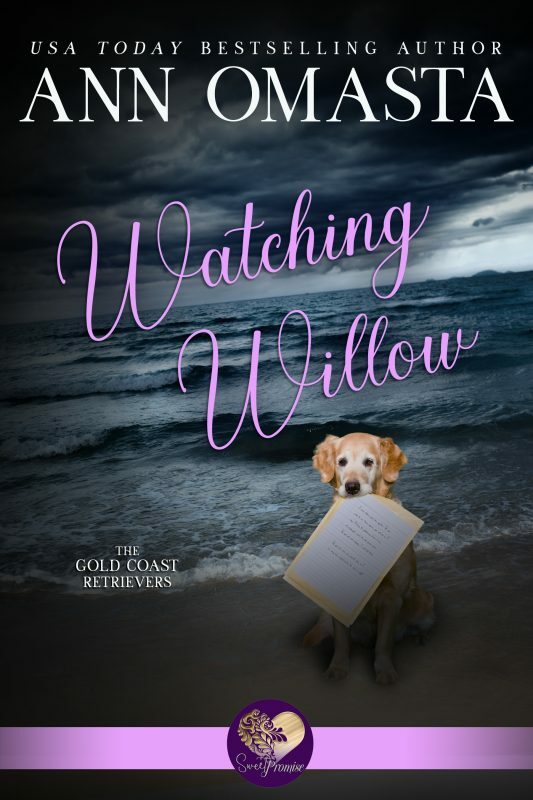 Join Carol and Isaac—and a very special group of golden retrievers—as they venture into their pasts to discover their futures. This sweet tale of suspense, secrets, and second chances is one you won’t want to miss... Order your copy and start reading today! "I love telling the kind of stories that readers can lose themselves in... and emerge having found themselves." Navy veteran S. B. Alexander, also known to many as Susan, grew up playing and watching sports. But if you ask her what her favorite sport is, she’ll tell you hands down it’s baseball. She grew up collecting baseball cards, watching the Boston Red Sox, and playing the sport with the boys in her neighborhood, which was how her bestselling Maxwell series started—with a high school girl who plays boys’ baseball. While sports can be found in most of her books along with military heroes, you’ll also find suspense, family drama, angst, and romance. "I write because the world needs more Happily Ever Afters." Ann Omasta is a USA Today bestselling author. 1. I despise whipped cream. There, I admitted it in writing. Let the ridiculing begin. 2. Even though I have lived as far south as Key Largo, Florida, and as far north as Maine, I landed in the middle. 3. If I don't make a conscious effort not to, I will drink nothing but tea morning, noon, and night. Hot tea, sweet tea, green tea––I love it all. 4. There doesn't seem to be much in life that is better than coming home to a couple of big dogs who are overjoyed to see me. My other family members usually show significantly less enthusiasm about my return. 5. Singing in my bestest, loudest voice does not make my family put on their happy faces. This includes the big, loving dogs referenced above. 6. Yes, I am aware that bestest is not a word. 7. Dorothy was right. There's no place like home. 8. All of the numerous bottles in my shower must be lined up with their labels facing out. It makes me feel a little like Julia Roberts' mean husband from the movie Sleeping with the Enemy, but I can't seem to control this particular quirk. 9. I love, love, love finding a great bargain! 10. Did I mention that I hate whipped cream? It makes my stomach churn to look at it, touch it, smell it, or even think about it. Great––now I'm thinking about it. Ick! 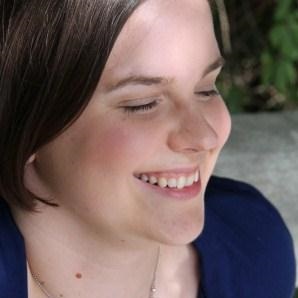 "The thing I love most about writing is the opportunity to make personal connections with people who enjoy reading my books." 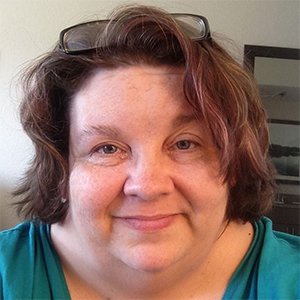 Becky Muth is a coffee addict who lives in Harpers Ferry, West Virginia with her husband and their adult sons. 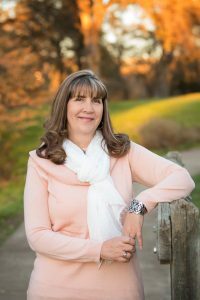 Although she started out writing ghost stories inspired by actual folklore, Becky has since transitioned to writing sweet romance, romantic suspense, and cozy mysteries. Becky's love of all creatures great and small shows through her writing. 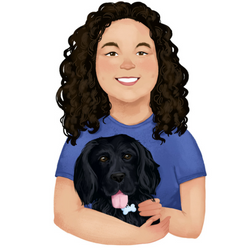 Her umpteen pets, which include both dogs and reptiles, often inspire the fictional animals that appear in her books. "Books and pets are the best friends to have. They both love you unconditionally and are there for you no matter what." P. Creeden is the sweet romance and mystery pen name for USA Today Bestselling Author, Pauline Creeden. She loves a good mystery and grew up watching Colombo, Perry Mason, and Murder, She Wrote. Books have always been a focal point of her life, from Nancy Drew and Sir Arthur Conan Doyle to thrillers like John Sanford. Animals are the supporting characters of many of her stories, because they occupy her daily life on the farm, too. From dogs, cats, and goldfish to horses, chickens, and geckos -- she believes life around pets is so much better, even if they are fictional. P. Creeden married her college sweetheart, who she also met at a horse farm. Together they raise a menagerie of animals and their one son, an avid reader, himself. Emmie Lyn grew up roaming the hills of Connecticut hoping to find Prince Charming charging through the forest on his white stallion. In real life, it didn’t work out quite the way she’d imagined. But with words, she discovered how to create happily ever after stories for everyone to enjoy. Emmie shares twelve acres in rural New England with her husband, a rescue terrier, and a cat with a bad attitude. When she isn’t letting the characters in her head tell their stories, she enjoys gardening – mostly flowers, cooking – mostly desserts, and spending time with her grandchildren – never enough time with them!